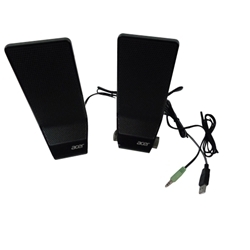 Description: New Acer USB powered computer speaker set. 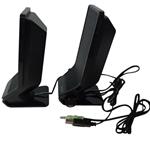 Compatible Part #'s: SP.10600.048, SP.10600.049, SP.10600.052, MS1238UA. Acer Aspire M3970, M3970G, TC-115, TC-605, XC-115, XC100, XC600. Any computer with a usb port.